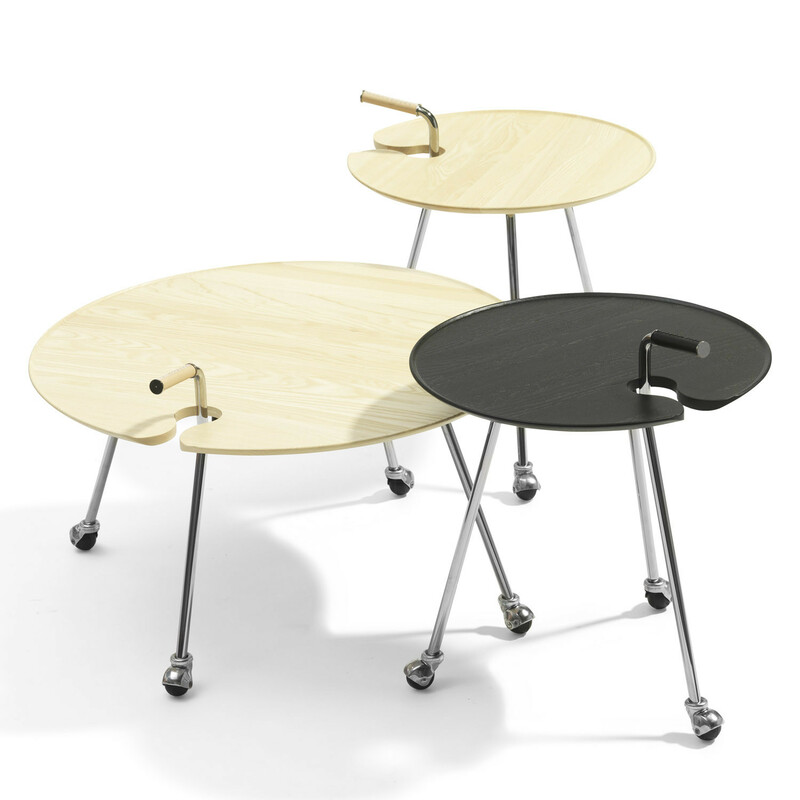 Pond L841 is a crossover between coffee table and tea trolley, where the wheels and the handle define the function. The Pond Table’s shape has been inspired by a lily-pad, triggering positive associations with one of nature’s most iconic supporting surfaces. 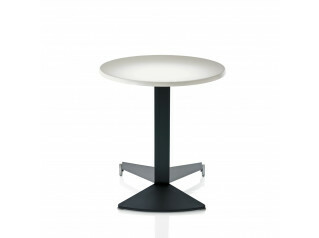 Thanks to its unique design, Pond is ideal for a number of environments an locations, from care homes to cafes; office lounges to canteens and receptions. Hotel lobbies and the domestic setting. 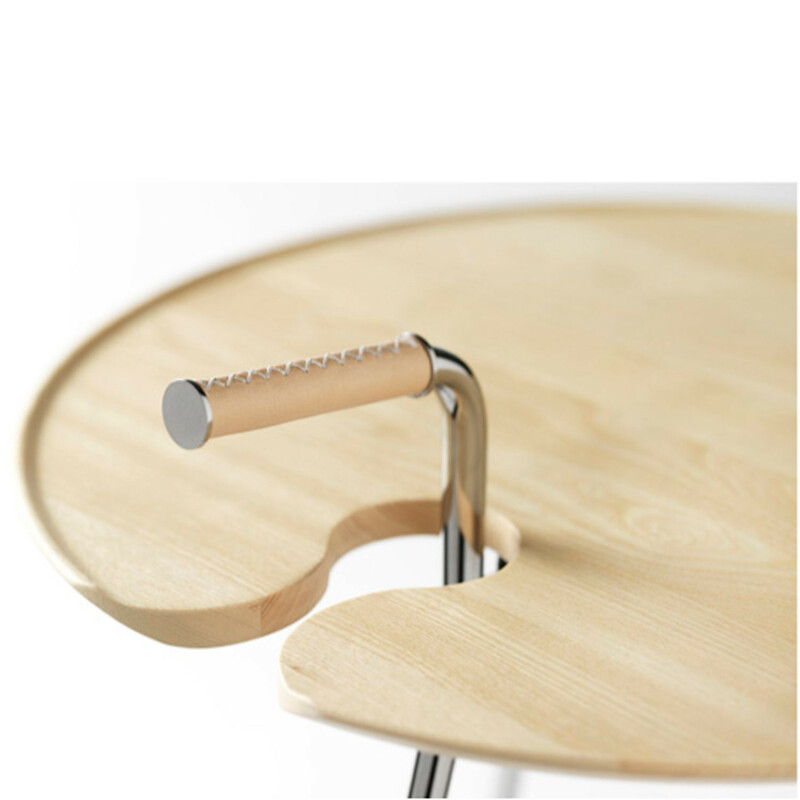 It's useful just about anywhere! 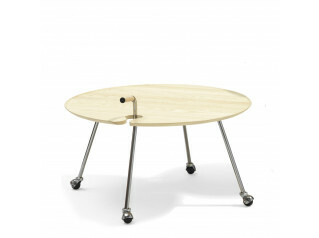 Pond L841 Table Trolley has a top in layer-glued compression-moulded ash wood. 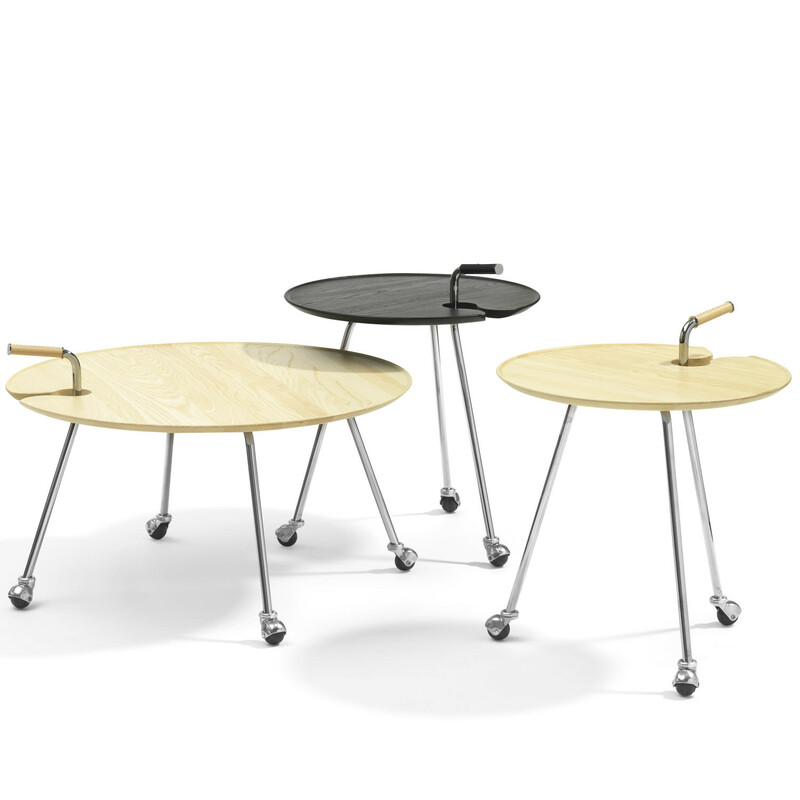 Stained or natural lacquered. Leather covered handle. Green chrome, chrome III or lacquered steel. 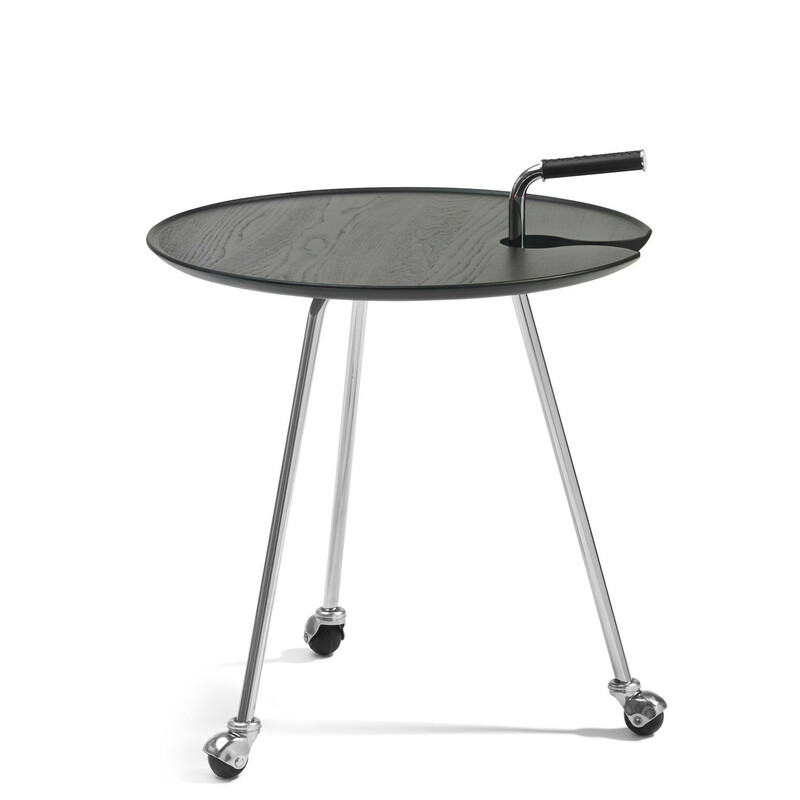 Pond Side Table is available in 2 sizes. 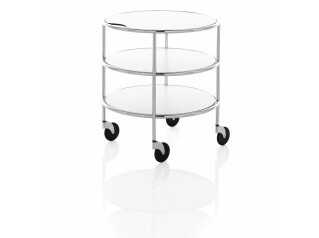 See Pond L842 Table Trolley. 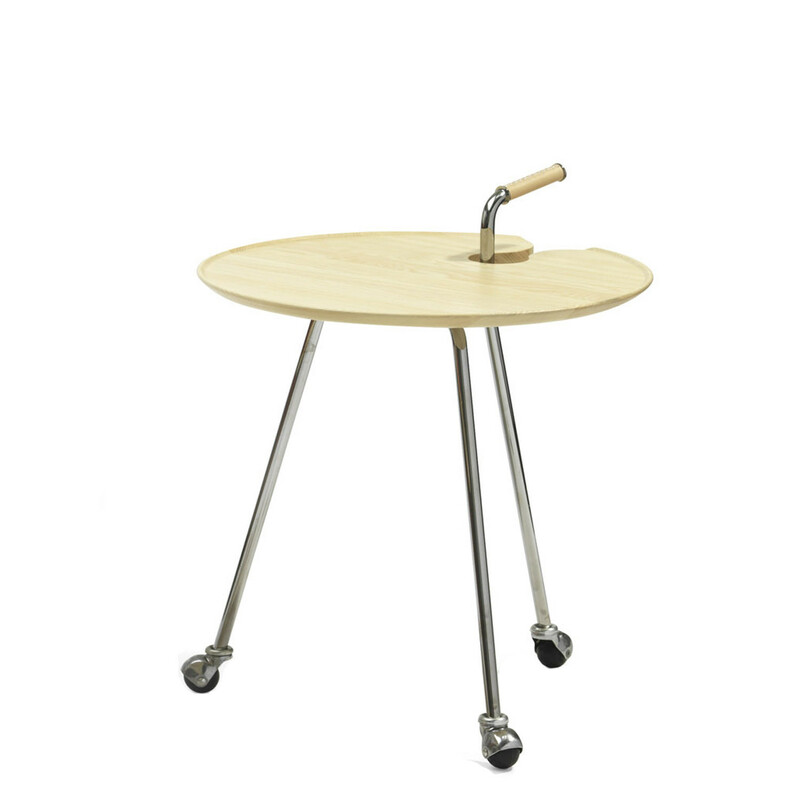 You are requesting a price for the "Pond L841 Table Trolley"
To create a new project and add "Pond L841 Table Trolley" to it please click the button below. 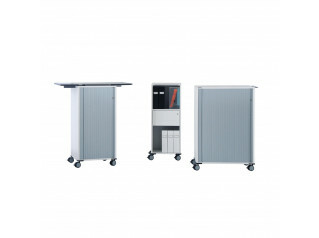 To add "Pond L841 Table Trolley" to an existing project please select below.